The vigorous, large-growing hybrid Siberian crabapple covers itself in mid-spring with pink-tinged white blossom that become cherry-like red or yellow fruits later. This deciduous tree has a tall spreading habit to almost pyramid-like, making it a nice blend of ornamental flowering fruit tree and attractive shade tree. 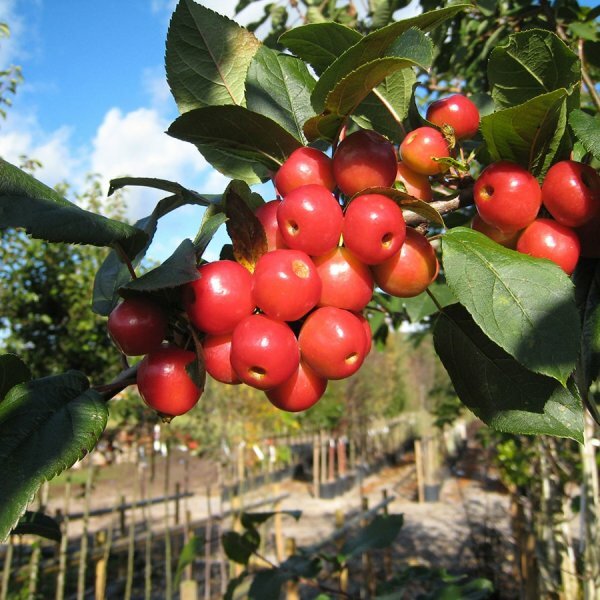 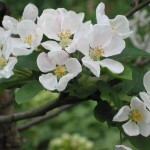 It is a hybrid created with the cross of two east Asian crabapples, Malus baccata and Malus prunifolia.